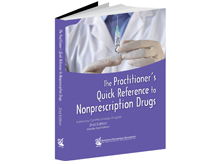 The Practitioner’s Quick Reference to Nonprescription Drugs contains information from the American Pharmacists Association’s Handbook Nonprescription Drugs: An Interactive Approach to Self-Care, 17th edition. 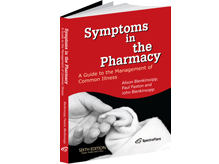 The information has been edited and formatted to include only the content that the practitioners are most likely to need during self-care consultations with patients. 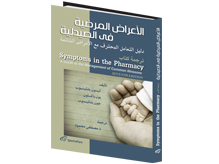 Symptoms in the Pharmacy A Guide to the Management of Common Illness Sixth Edition If you are inside Egypt, Sudan, or Libya, you have the opportunity to get your original copy for only 65 L.E. Important Note: Price inside United Kingdom = 35 British sterling Pounds = around 350 L.E. 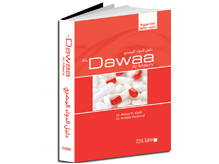 Al Dawaa Al Masry introduces the biggest drug database from the real Egyptian Pharmaceutical market including trade name, composition, forms, prices, size, main indication & companies… which help different health - related professions improve their awareness about the main drug information.